The first CAR-T cell therapies, Novartis’ Kymriah and Gilead/Kite’s Yescarta, were launched in Europe in 2018, while Spark’s gene therapy Luxturna was also approved in Europe late in the year. Novartis has a deal with Spark to market Luxturna in Europe, and is therefore at the forefront of not only the groundbreaking R&D behind cell and gene therapy, but is also looking to lead the revolution in pricing and reimbursement required to make them a commercial success. The next step in this process is the launch of Zolgensma (AveXis) – the gene therapy for spinal muscular atrophy (SMA) which is now filed with the FDA and EMA, and is set to gain approval in both regions in the first half of 2019. Novartis hit the headlines when it suggested its price for Zolgensma could be around the $4m (€3.5bn) mark – which would make it easily the most expensive biopharma product ever. The company says the price would be justified, based on the fact that patients require just one infusion of the gene therapy, rather than the long-term treatment required with the only other SMA treatment available, Biogen’s Spinraza. The company argues that current ten- year costs of caring for SMA type 1 patients with Spinraza and additional care costs are somewhere between $2.5-$5m. 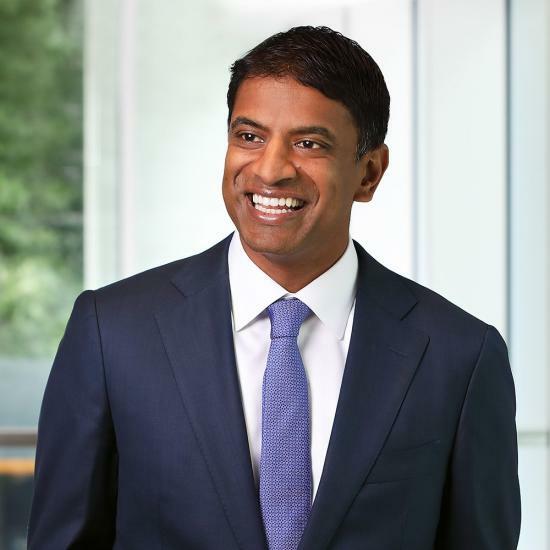 Novartis CEO Vas Narasimhan says the company is exploring a novel reinsurance model in which a third party would underwrite the “catastrophic case” of a child having one of these rare conditions. Potentially deadly allergies to food and other everyday substances are on the rise around the world – and there are currently very few therapies to help prevent the life-threatening anaphylaxis that can result. Now a US biotech company, Aimmune, looks set to bring the first treatment to market by the end of this year. There are more than 1.5 million peanut allergy sufferers in the US, with a similar number in Europe. Analysts say the market could eventually be worth $4.8bn annually. The FDA granted AR101 Fast Track Designation for peanut allergy in September 2014 and Breakthrough Therapy Designation for peanut allergy in ages 4–17 in June 2015. Aimmune Therapeutics submitted the drug to the FDA on 21 December. However the company, like many others, is at the mercy of the US government shutdown, which means many FDA staff are on unpaid leave, and threatens drug approval timelines if it drags on any longer. In Europe, the company expects to file with the European Medicines Agency (EMA) in the first half of 2019. The last 12 months have seen a huge growth in interest in the therapeutic potential of cannabis, with authorities now allowing regulated access to a new generation of products. A handful of legitimate companies is now pioneering these products, led by GW Pharma, the UK-headquartered firm that has been working in the area since the late 1990s. GW Pharma gained an historic approval for its drug Epidiolex from the FDA in June last year, becoming the first ever prescription medicine derived from cannabis. 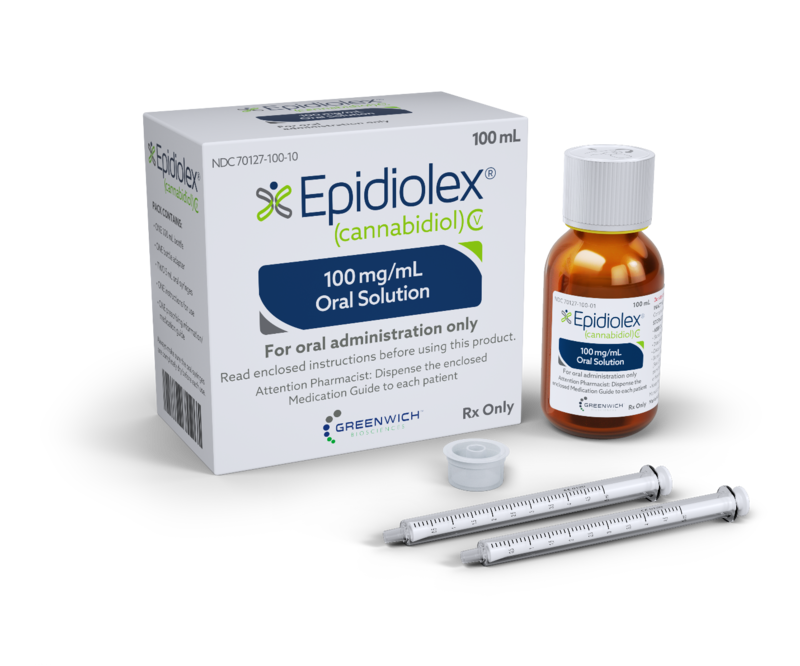 Epidiolex is the first medicine based on highly purified, plant-derived cannabidiol (CBD), which lacks the high associated with marijuana, and is the first in a new category of anti-epileptic drugs (AEDs). The oral solution treats seizures associated with Lennox-Gastaut syndrome (LGS) or Dravet syndrome in patients two years of age or older, two of the most difficult-to-treat epilepsy-related conditions. Analysts believe if GW Pharma can successfully commercialise the drug in the US and other major global markets, and add further indications, it could have a blockbuster treatment on its hands worth $2-$3bn a year. The company had to wait until November before it could launch the product, however, because its active ingredient, CBD, needed to be rescheduled under US law. Similar changes have been required in Europe, but now the company looks set for launch later this year, with final regulatory approval in Q1 2019. The company is rapidly establishing a European corporate infrastructure, led by Chief Operating Officer Chris Tovey, who is hiring staff in medical affairs, market access and marketing, and selecting candidates with a strong epilepsy or specialist disease experience. Novartis’ Mayzent (siponimod) is expected to be launched in the US in Q1 for multiple sclerosis, with an EU launch to follow later this year. The company says its latest trial results are the first and only study in secondary progressive MS to show meaningful results. Its success is vital, as Novartis’ $3.2bn franchise for Gilenya is facing increased competition. Analysts predict peak sales of up to $3bn. Alexion is bracing for the patent expiry of its blockbuster Soliris (eculizumab), used to treat paroxysmal nocturnal haemoglobinuria (PNH) and myasthenia gravis, which hit revenues of around $3bn in 2018. 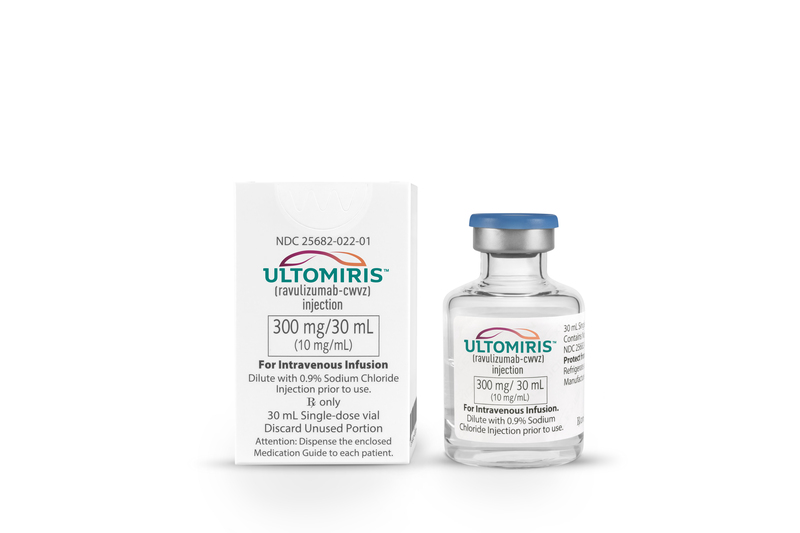 The follow-up, Ultomiris ALXN1210, is a second-generation PNH therapy with an NPV of $10.9bn. The drug matched Soliris for efficacy with a trend towards superiority and has improved dosing. It gained earlier than expected FDA approval on 21 December. Takeda’s chief executive Christophe Weber has staked his reputation on the company’s £46bn ($61bn) takeover of Shire, and now needs to demonstrate that the combined company will have more marketing muscle than before. The first test of this will be Shire’s new blockbuster-in-waiting Takhzyro, which gained EMA approval in November, for the rare disease hereditary angioedema (HAE). Analysts predict the drug could make up to $2bn in peak sales, making it one of the brightest prospects in Shire’s pipeline. EU approval follows a green light in the US in August. Takhzyro is the first antibody to be approved for HAE in a market of a handful of existing treatments, including Shire’s three existing products, Cinryze, Firazyr and Kalbitor), that collectively made more than $1bn in sales in the first nine months of the year. Almost all sales come from the US market, mainly because of supply constraints for Cinryze in recent years, something that the combined company will aim to address. Its early US take-up is encouraging, according to Shire, with Q3 sales coming in at $51m. At the moment Shire’s big competitor in HAE is CSL with its Haegarda product, a subcutaneous medicine that launched last year and has been trying to steal market share from Cinryze, which is administered intravenously twice a week. Gene therapy company Bluebird Bio is on course to gain approval for its first product this year – and Europe is expected to approve it ahead of the US. The Cambridge, Massachusetts-based firm filed its gene therapy LentiGlobin TDT with the EMA last year, a treatment for adolescent and adult patients with transfusion- dependent β-thalassemia (TDT) and a non-β0/β0 genotype. Pivotal data from two studies in the severe inherited blood condition suggests the gene therapy could transform care of the disease by providing a cure for many patients. In one recently presented study, seven out of eight patients no longer needed long-term blood transfusions, and continued to show normal levels of haemoglobin. Bluebird says its decision to file in Europe first was in part thanks to LentiGlobin being accepted on to the EMA’s PRIME fast track designation, which allows early discussions about data requirements and trial design in groundbreaking therapies. Analysts William Blair forecast that LentiGlobin could eventually hit global peak revenues of $800m in TDT, but this would depend on its efficacy in the harder to treat β0/β0 genotype patients, who have more severe thalassemia. The analysts predict the drug will be priced at around $550,000 (€472,000) per treatment, a level that compares favourably with the cost of conventional stem cell therapy of $500,000 to $1m. 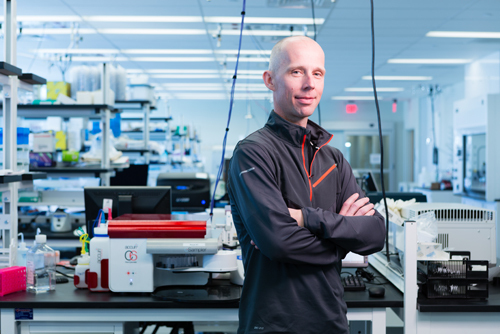 Unlike fellow Boston, MA-based gene therapy company Spark Therapeutics, Bluebird (led by CEO Nick Leschly, above) has opted to market its own products in Europe as well as the US. It has a regulatory, marketing and market access team already in place in Europe, and is in advanced discussions with the continent’s payers, including value-based payment systems. After many years with no new therapies, the treatment of acute myeloid leukaemia (AML) is set for rapid change, thanks to a wave of rival products arriving on the market. These include Pfizer’s Daurismo, the first smoothened (SMO) receptor inhibitor to be approved for blood cancer. The FDA cleared Daurismo (glasdegib) in late November for use in combination with low-dose cytarabine for patients with newly-diagnosed AML – aged 75 or over – who are too frail to be treated with intensive chemotherapy. The FDA also approved AbbVie and Roche’s Venclexta (venetoclax) with cytarabine or a hypomethylating agent (azacitidine or decitabine) for the exact same indication – adding to the options for this patient population and taking the total number of new drugs for AML in the last couple of years to seven, after decades of stagnation. 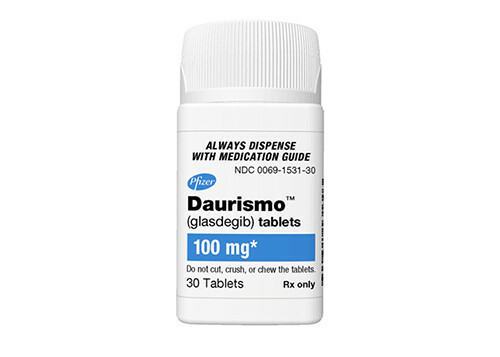 Phase 2 data submitted in support of the Daurismo marketing application shows that combining Daurismo with cytarabine reduced the risk of death by 54% compared to cytarabine alone in these patients. The small-molecule drug blocks part of the Sonic hedgehog pathway, which is also targeted by other cancer drugs including Roche’s Erivedge (vismodegib) and Novartis’ Odomzo (sonidegib) for basal cell carcinoma, which has a smaller patient population than AML. Analysts at Credit Suisse have predicted approval in AML could make glasdegib a $450m product by 2020, with an additional upside if Pfizer can also get approvals in other indications such as myelodysplastic syndrome (MDS), acute lymphoblastic leukaemia (ALL), chronic myeloid leukaemia (CML) and solid tumours. Meanwhile, Venclexta’s latest approval adds to the growing momentum behind AbbVie and Roche’s BCL-2 inhibitor, which has also been filed for approval for previously untreated AML patients who are ineligible for intensive chemotherapy, to go along with its existing indications in chronic lymphocytic leukaemia (CLL). EvaluatePharma has predicted it could become a nearly $2.5bn product by 2024, providing it can also pick up approvals in AML and other indications like multiple myeloma. Earlier this year Merck & Co/MSD became the first company to secure approval for a ‘tissue agnostic’ drug when its PD-1 inhibitor Keytruda (pembrolizumab) was backed for cancers harbouring a biomarker known as microsatellite instability-high (MSI-H). Merck/MSD looks to have gained a dominant position in checkpoint inhibitor immuno-oncology (IO) with Keytruda – but there remains room for growth in the market via new IO agents. This is particularly the case for the considerable percentage of patients who don’t respond to any existing IO treatments. 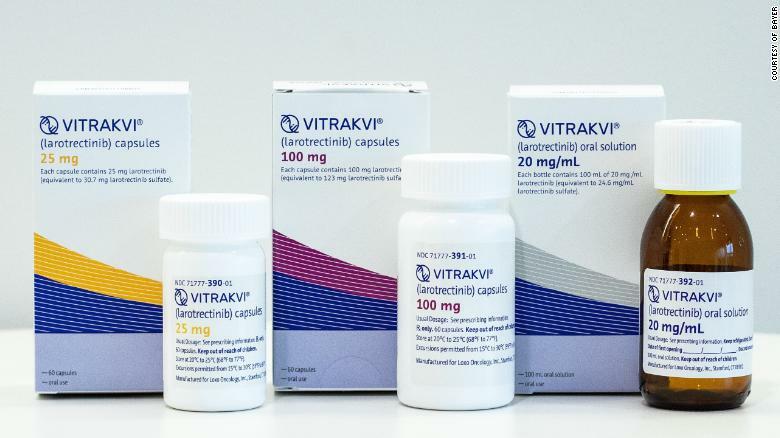 Vitrakvi (larotrectinib) gained FDA approval in late November to treat any solid tumours that have a neurotrophic tyrosine receptor kinase (NTRK) gene fusion, which causes the production of TRK, a family of proteins that drives tumour growth. This is the first US product approval for Loxo Oncology and its marketing partner Bayer, becoming the second company to get FDA backing for a drug that treats cancer based on a specific genetic mutation rather than its location in the body. In Europe, a marketing application for larotrectinib was submitted to the EMA last August, setting up a potential approval in mid-2019. Analysts at Oppenheimer predict annual sales of Vikrakvi will grow to more than $1bn by 2024, thanks to impressive results in clinical trials. NTRK fusions are rare – Loxo estimates that there are around 2,500 to 3,000 new cases of advanced NTRK fusion cancer in the US each year – so the big challenge for Loxo and Bayer will be to encourage oncologists to test for them and identify patients who may be eligible for Vitrakvi, which will launch with a premium price tag of $393,600 per year. However, Bayer is offering a refund for patients who don’t see a benefit from the drug within three months. At the moment there is no companion diagnostic for NTRK fusions so patients need to be identified through genomic profiling techniques such as immunohistochemistry or genetic sequencing approaches, which tend to be available only through specialist centres. The company says it is critical for screening of patients of all ages with advanced solid tumours for ‘actionable genomic insights’ to improve care or inclusion in clinical trials. Loxo has brought its drug to market ahead of main rival entrectinib from Roche, which is in late-stage testing and could be submitted for approval before the end of the year. Johnson & Johnson gained FDA approval for Erleada in February 2018, and it just got the go ahead in Europe as the first treatment for non-metastatic, castration-resistant prostate cancer (CRPC). Erleada (apalutamide) is the first drug to be cleared on the strength of metastasis-free survival (MFS), a trial endpoint not used before in any FDA cancer drug approval. Analysts believe the drug could achieve peak sales of around $1.7bn, but will face fierce competition from the likes of Pfizer and Astellas’ established Xtandi. Around 10-20% of prostate cancer cases are castration-resistant, and up to 16% of these patients show no evidence that the cancer has spread at the time of the castration-resistant diagnosis. In patients with non-metastatic CRPC, there is a high unmet need to delay development of metastases and the progression to advanced prostate cancer. 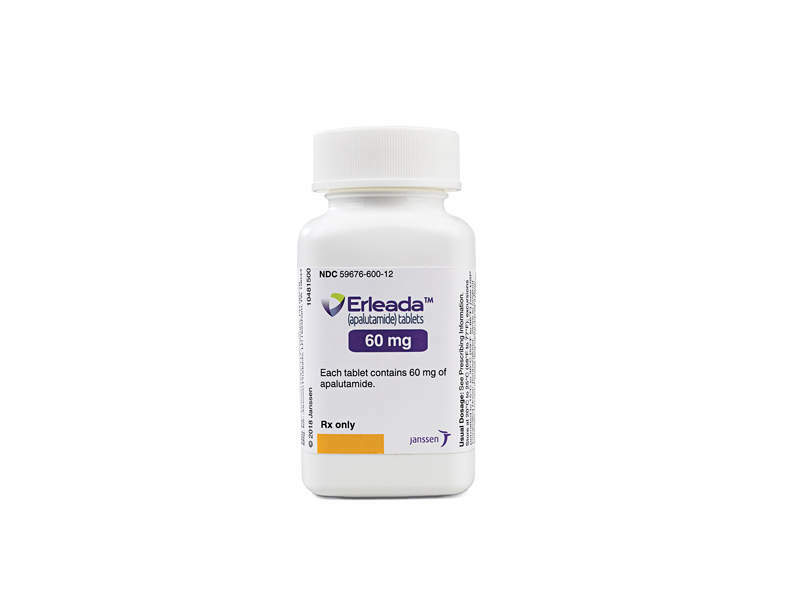 Erleada was approved on data from the SPARTAN study, which involved over 1,200 patients with non-metastatic CRPC who received either Erleada or placebo on top of hormone therapy with gonadotropin- releasing hormone (GnRH) analogues or with surgical castration. The median MFS for patients taking Erleada was 40.5 months compared to 16.2 months for the placebo arm. J&J needs the drug to hit the ground running because its existing prostate cancer blockbuster Zytiga is faceing generic competition in the US, which accounts for around half of the drug’s $2.5bn revenues. It also gives J&J a leg-up in what looks set to be a big market tussle with Pfizer and Astellas and their Xtandi product, which has also been filed for approval in the US and EU for non-metastatic CRPC on the strength of MFS data from the PROSPER trial. Opioid addiction has surged in the US since the 1990s, when prescription drugs such as OxyContin and Vicodin became a common remedy for a number of conditions. Last year, more than 47,600 Americans died from overdosing on opioids. About 2.5m people have been diagnosed with opioid dependence in the US, and almost one million are receiving treatment. While the problem is not as acute in Europe, it is nevertheless still a significant and growing issue across the continent. Now there is a growing need for treatments which can help wean dependent patients off these prescription drugs, or the street drugs to which many transition. New to the opioid dependence treatment market this year is CAM2038, marketed by Camurus, a company headquartered in Lund, Sweden. CAM2038 is an injectable solution that slowly releases buprenorphine – the most common drug used to treat opioid addiction – into the body, eliminating the need for daily dosages as well as the risk of the substance making its way onto the black market. The product gained EMA approval in November and FDA approval on 26 December. Camurus is currently preparing to launch the drug in the first European markets as early as January, and expects ‘substantial’ sales of the treatment during 2019, although it will take three to six months to ramp up. In the long term, a US market share of 10% of the number of patients treated, or about $1.4bn in annual sales is expected. The US market for the treatment of opioid addiction is currently dominated by Indivor’s Suboxone, a film that is placed under the tongue once a day. The advantage of treatments such as CAM2038 is that the patient gets continuous treatment without running the risk of missing doses and without having to visit clinics between injections. While most treatments today are taken in daily doses, the use of long-acting injections is expected to increase in coming years. Compared with a similar treatment marketed by Indivior, the drug has advantages in flexibility. Injection volumes are lower, it can be taken weekly as well as monthly and can be administered to different parts of the body. The world’s biggest selling drug, Humira, lost its market exclusivity in Europe to biosimilar competition in 2018, and AbbVie is well aware of the impending US patent expiry in 2022. The good news for the company is that it has not one but two potential blockbusters likely to gain approval in 2019: Upadacitinib (AbbVie) for RA and risankizumab (co-marketed with Boehringer Ingelheim) for psoriatic arthritis, Crohn’s disease and other inflammatory conditions. Humira reached revenues of around $20bn in 2018, meaning AbbVie will soon have a very large hole in its revenues to fill. 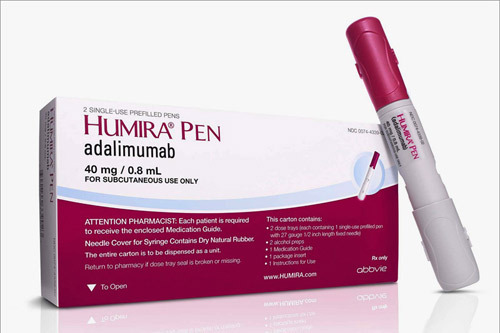 It sees upadacitinib as a key component of its post-Humira portfolio, and predicts the drug could eventually hit sales of $6.5bn a year, with risankizumab adding another $4bn-$5bn at peak. AbbVie presented new data on its risankizumab candidate in psoriasis and upadacitinib in atopic dermatitis that suggest it has a potentially lucrative dermatology franchise on the way. It announced the filing of upadacitinib in the US and Europe on 20 December, with the filing of risankizumab expected early this year. Three studies of its interleukin-23 inhibitor risankizumab in psoriasis were presented in 2018 – firming up the case for the drug ahead of possible regulatory approvals. It also unveiled mid-stage data on its JAK1 inhibitor upadacitinib in atopic dermatitis, adding another clinical win to earlier successes in rheumatoid arthritis. For risankizumab, the new data could be important to help AbbVie differentiate its IL-23 inhibitor from a clutch of new psoriasis treatments from Novartis, Lilly and J&J and others jostling for space in an increasingly crowded market. The analysis concentrated on patient-reported outcomes data from two studies that compared risankizumab to J&J’s $4bn-a-year IL-12/IL-23 inhibitor Stelara (ustekinumab) and one against its own TNF inhibitor Humira (adalimumab), currently the biggest-selling drug in the world with revenues of $16bn in 2017. The analysis showed that 56% of patients on risankizumab were symptom-free after a year’s treatment, compared to 30% of the Stelara group. Meanwhile, phase 2b results for upadacitinib showed that the drug was able to improve skin lesions and itching in patients with moderate-to- severe atopic dermatitis (eczema) across all doses tested, with a sustained treatment effect over 32 weeks. Upadacitinib is already in a phase 3 trial in atopic dermatitis and picked up a breakthrough designation (BTD) from the FDA for this indication earlier this year. AbbVie has five trials on the go in rheumatoid arthritis and will be filing in that indication before the end of the year. The new data in atopic dermatitis puts it on course for an additional indication for the drug that some analysts predict could unlock a billion- dollar-plus market, although AbbVie isn’t the only oral JAK inhibitor developer with its eye on that particular prize. Lilly’s already-approved Olumiant (baricitinib) and Pfizer’s PF-04965842 are rivals for Abbvie’s upadacitinib, but Gilead and Galapagos’ filgotinib (an AbbVie cast-off) now looks like the biggest competitive threat. It is also in a phase 2 trial in atopic dermatitis. Likewise, upadacitinib will face competition in both RA and atopic dermatitis, particularly from filgotinib. Finally, 2019 will see a rapid increase in the uptake of Humira biosimilars across Europe, another factor that will temper demand for new agents, and up the ante in terms of price and competition in these therapy areas.